Whoopi Goldberg and Joy Behar just couldn't take it. Bill O'Reilly actually said that Muslims killed people on September 11th! How dare he? Doesn't he know that telling the truth is racism, hate-filled bigotry, and Islamophobia? Wood wrote: "Bill O'Reilly actually said that Muslims killed people on September 11th! How dare he? Doesn't he know that telling the truth is racism, hate-filled bigotry, and Islamophobia?" Joy and Whoopi have a point. The insinuation behind Bill O' Reilly's technically truthful statement is that the Muslims who killed people on 9/11 resemble most Muslims, and therefore Muslims are generally dangerous. What Reilly (obviously) should have said was that radical extremists killed people on 9/11. Imagine if O'Reilly had said: "Arabs killed people on 9/11." Clear thinking people would have a problem with this statement even though it is technically "true." Do you see why? Again, it is because the statement has the insinuation that most Arabs are like the 9/11 killers. Ignorance is a bliss they say right mate? Well there u have it people, the media and it's knowledge if islam. One of the ladies (i dont watch TV so i dont know what here name is) said there r terrorist in all faiths and religions.....Ok, just give me a sec while i laugh that out........R u serious!! I must be living on another planet cuz i missed all the suicide bombings by the Christians, Buddhist, Hindus, atheists, Catholics, etc. I need to return to earth. Good for Bill O'Reilly, for standing up to those who were abt to devour him. O, and the audience, if u pay attention, were in favor of Bill rather then those crazy women. Listen to when they applause. Sorry I'm not buying the Egos' point. As O'Reilly stated on his show, when the perpetrators attacked on 9/11, they did so under the banner and invoking the "righteousness" of Islam. They did it while yelling "Allahu Akhbar." Non-jihadist Muslims may not like it, but the primary motivation was Islam. Apparently the truth offends liberals. I can't for the life of me figure out why any one cares what that woman says. Really, there are terrorists in every religion!?!? I know the reason I have to get patted down in the airport is because of those darn baptist bombers...and England is under a heightened alert because of those pesky Buddhist suicide attacks and who could forget all of those Jewish airline hijackings. ...oh wait those were all Muslim, I guess there is a correlation. and before anyone decides to bring up the crusades or the inquisition, let's talk about something recent, say in the last 200 years. O'Reilly should have said not that Muslims killed us, but that fervent believers in the example of Muhammad killed us, or that some Muslims who were being obedient to core elements of Islamic doctrine killed us. What people need to understand is what Ibn Warraq has said: "There are moderate Muslims, but there is no moderate Islam." One can argue with that, as with anything, but it is a position with a great deal of evidence to back it up. Given the context of what he's talking about... his statement should not have rationally not be given such a outraged reaction from everyone.. He was talking about a mosque being built at the Ground Zero location. And the reason why it shouldn't be built there was that Muslims were the reason for 9-11 to happen in the first place. He didn't need to put radical or fanatic or extremist Muslims... because in the end, he's still saying Muslims should not build the mosque there because it is very insensitive of them to the 9-11 victims. He's not even talking about terrorist Muslims that were said to be involved..
Are these women for real> These females have to me dumbest people of the face of the planet. If I wanted to make an argument for why women should not be allowed to vote this would be the video that I would show. Ingram points out Behars's long history of bashing Christians (hate speech). No Joy and Whoopi do not have a point. The insinuation is NOT that it "resembles most Muslims" but that IT REPRESENTS TRU ISLAM! People gotta understand there is but ONE Islam, and its not the peacful western liberal type. There are plenty of peacful Muslims whom adopted Christian values and lead peacful lives. Great. But thats not what Moe commanded. Its almost like this "radical" is becoming a new religion without having a thing to do with islam. You are right. That line was astoundingly ignorant. And isn't that blond supposed to be the conservative on the show? I don't know why Barbara Walters is not ashamed to be part of the View. My standards are pretty low, but even to me that show is insufferably stupid. Is Bill O'Reilly related to the evil Dearborn Mayor John O'Reilly????? SHIP WHOOPI GOLDENBERG to Pakistan or any Muslim country. But she cant stay in fancy hotels, of course! She needs to see how real people live and how life is a WONDERFUL LIFE in a Muslim country. I am sure she will come back a NEW PERSON, if Muslims do not blow up her, in one of hundreds suicide attacks against other Muslims. Why did she came back to the show? COME ON! Whether we can know what Mr. O'Reilly was "insinuating" is not my concern. The truth is that it was Muslims who initiated the attacks on freedom on 9/11 and, more than likely, it was their hate-filled and racist political/military ideology that inspired the attacks. Are all Muslims evil? Most certainly not. However, all Muslims are - to one or another degree - under the influence of an evil ideology that does not include "civil rights", "democracy", "gender equality" or "freedom of conscience". And, Muslims remaining under the influence of their filthy ideology - however painful or dangerous it might be to leave Islam - is an expression of Muslims' willingness to support the very worst of anti-human behavior now being expressed in the name of "Islam" - all over the world. There is no reform for Islam. Islam must die by crucifixion with Christ Jesus. Islam is institutionalized sin. Like all sin, Islam must be put to death on the Cross. To acknowledge the decency of some Muslims does not in any way excuse the socio-pathic attitudes and behavior that is prescribed by the very literature that Muslims name as "holy". The only hope for Muslims is when we help them escape the nightmare in which they are now trapped. Or, they must summon the will and the resources to escape WITHOUT our help. By any means, Muslims must separate themselves from Islam. Forget Bill O'Reilly and forget "The View". All of them probably are at least part owned by Saudi Prince al-Walid. Instead, explore the many ways to help Muslims escape from their misogynist, fascist ideology (IF you really want Muslim people to be protected from suspicion, scorn and ridicule). Help Muslims AND Arabs escape - to breathe the fresh air of freedom in Christ Jesus. The Christ of The Only Living God is their only Hope - just as He is the only Hope for all of the rest of us. I doubt it. But if he was, I would laugh. So if someone says that Christians killed lots of people in the Crusades, he or she is a hate-filled bigot, even though the Crusaders clearly identified themselves as such. Of course most people wouldn't object to someone pointing that out, but Bill O'Reilly is worthy of scorn for what he said. Weird. Greekasianpanda...the last Crusader died over 700 years ago. Crusading Christians are no a threat to anyone in the here and now. Radical jehadist Muslims on the other hand...are alive and well...all over the planet. I don't know what is your point David Wood, Bill Apologized. Which means that he recognized he said something WRONG. Move it (the Park 51) away, and no body is gonna bother. You cannot be wrong than that Bill, we have seen that 1000 miles away was not enough. Ground zero proximity is just a pretext. I thought people were entitled to their personal opinion. It seems though, if your opinion is one of Christian values, its wrong. Like someone in a post earlier had said, let them go to an Islamic country and stand between their beliefs and freedom of speech or say any negativity about Islam and they will surely die for it. If you are not Muslim, they hate you. On his show tonight Bill O'Riley stated very emphatically that he stood by his comments and was not apologizing for anything he said on The View. He added that he was only sorry if people took it to mean he was talking about ALL Muslims. Which means, Muslim1, that he recognizes that what he said was RIGHT. The video is hosted on Hulu which is NOT AVAILABLE for viewing outside of the US. I am based in India and m sure that there would be so many more out of US who would love to see this video. Can you possibly download the same and host it on Youtube or Vimeo ? Lots of love and blessings for your good work. I'm simply stunned by the reactions here (though not surprised). Suppose O' Reilly had said: "Arabs killed us on 9/11." Would the remark not be offensive even though it's true? The clip can be found on Youtube. So...why did the United States enter WWII? Because the Japanese bombed Pearl Harbor. Did all Japanese participate in this atrocity? Did all Japanese believe this was right? Probably not. But the fact that Japanese bombed Pearl Harbor explains why we entered the war. Similarly, O'Riley was merely explaining why it was a bad idea to build a Mosque so close to Ground Zero. But you probably allready know that. 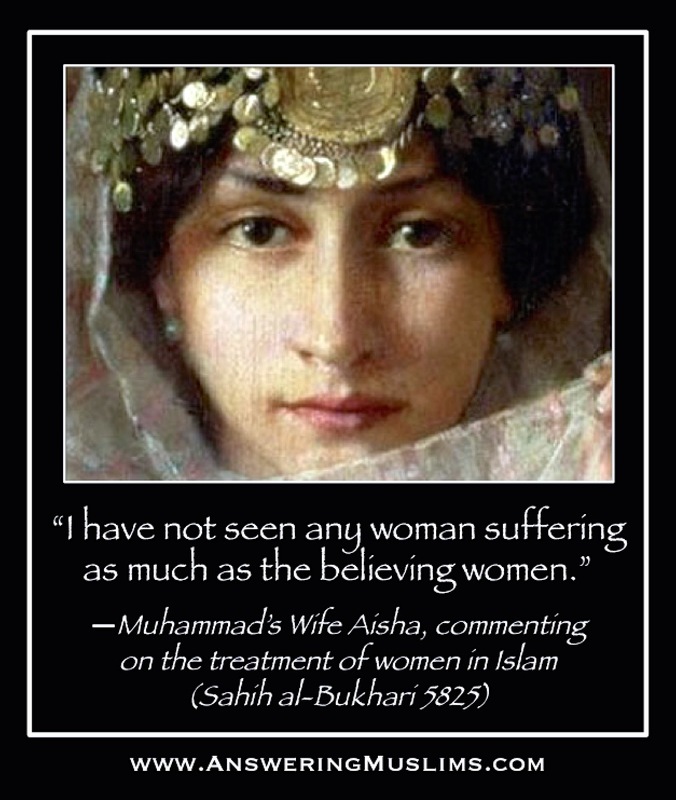 The only reason that any woman would defend Islam, is that she is the silly woman described in 2 Timothy 3. I'm sorry if I sound cruel and intolerant. Women have everything to lose by embracing Islam, and nothing to gain. I don't like Mr. O'Reilly either. I'm just saying. Interesting point. I personally believe that remark is true but incredibly wrong and ignorant in an almost racist sort of way (in context). Let me explain why. A. Not all Arabs are Muslim, just as not all Muslims are Arab, and not all Muslims want to kill us. C. There is no single unifying source, like a political movement (unless you count the political ideology known as Islam, but then we are back to religion) or a cultural revolution where all Arabs are getting together under the banner of being an Arab in order to attack westerners. Lets say the National Arab Alliance took responsibility for the 911 attacks instead of orthodox Muslims, and Egypt attacked us - we would be having a different conversation indeed. If the Quran didint tell Muslims to kill Christians and Jews, we would be having a different conversation. But, in fact, herein lays a part of the problem in my personal opinion. 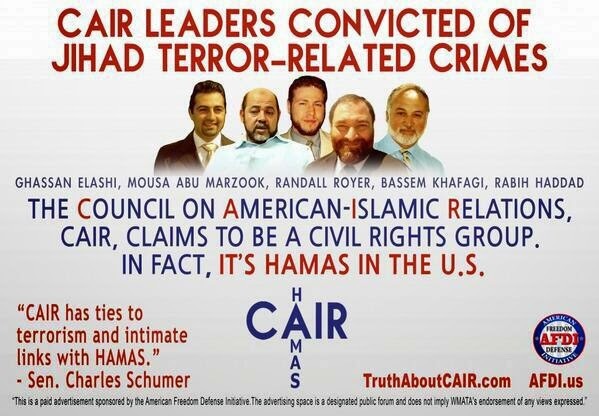 There are a bunch of Muslim terrorist hubs springing up under the guise of "Arab" organizations and groups and foundations etc..That aint cool. The race card will eventually fail. People are waking up. It has nothing to do with color of skin, or cultural background, etc..it has everything to do with how closely you want to follow Muhammads words. Thats it. The closer to his words and deeds, the dedlier. I noticed you chose not to answer my question. Here it is again: Suppose O' Reilly had said: "Arabs killed us on 9/11." Or what is O' Reilly had said: "Non-white people killed us on 9/11." Would you seriously not see a problem with this? If you choose not to answer the question, I'll assume you concede the point. Yup. And what was the context of O'Reilly's statement? He was defending the inappropriateness of allowing Muslims to build a Mosque near ground-zero. Muslims shouldn't be allowed to build a Mosque near ground-zero because Muslims killed us on 9/11. The innuendo here, obviously, is that most or all Muslims are like the 9/11 terrorists. Do you endorse this argument? As it stands, it makes no distinction between the people who attacked us on 9/11 and those who want to build the Mosque. Now, whether O'Reilly truly meant this is another matter: it still stands that his insinuation was clear, and therefore repugnant. Bill O'Reilly should perhaps not have said Muslims did 9/11 to us. But he should have said that Islam, or core doctrinal elements of Islam, did 9/11 to us. Some Muslims do not know the core Islamic texts or the earliest Muslim biography of Muhammad. Those Muslims may be innocent of what Islamic terrorists do. And yet those innocent Muslims must be confronted with what their prime exemplar, Muhammad, did during his life, and they must be asked to repudiate his theocratic, totalitarian, warlike characteristics, the characteristics that give birth to the Bin Ladens and to all the other jihad terrorists around the globe. Worse than the terrorism, is the goal of it: sharia law. 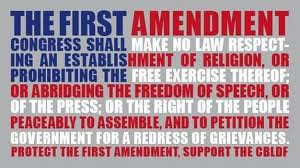 Muslims -- all Muslims, must eventually be held accountable and responsible for sharia law, except for the particular Muslims who publicly repudiate that law. 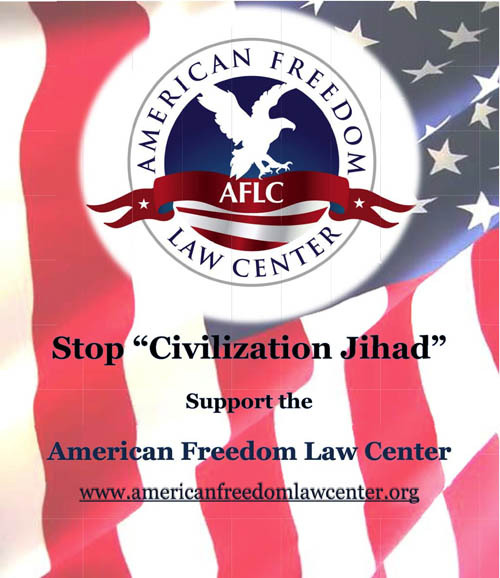 Sharia law and jihad terror around the world in literally thousands of attacks since after 9/11 -- all of that stems from the core documents of the religion to which all Muslims adhere. As long as they don't repudiate the sharia and jihad pervasive to those documents, as long as they offer no resistance to sharia theocracy, they are, with every passing year, more complicit in the existence of sharia and the attempts, including the jihadist attempts, to implement it. The only thing that upset me about all of this was the fact that I use to like Whoopi, but now I wish the pair of them had stayed off stage, I no longer consider anything that program has to say is worth watching now, seeing as they are so blind that they can't see or stand to hear the truth. "Bill O'Reilly should perhaps not have said Muslims did 9/11 to us. But he should have said that Islam, or core doctrinal elements of Islam, did 9/11 to us." No, that might have been worse, painting the conflict as one against religion, which it is not. Islam has to admit what its agenda is. There is no way to reform unless Muslims like Maajid Nawaz and Zeba Khan OPENLY proclaim and acknowledge that Muhammad carried out "atrocities", for lack of a better word. Muslims in the Middle East seem to do this quite well although they do claim what Muhammad did was good, and some will kill us for it. Muslims who still claim Islam is peace, western Muslims,contribute to the problem of enabling violence by minimizing Muhammads words and deeds, what Islam is all about, and shifting blame from Islam. Not only that, but after the majority of Islam and Islamic leaders collectively admit to the nature of Muhammads words and actions, can they finally speak out in the open against those actions, against that history, and finally be content. Then Islam would start to change form the inside, for real. Say it was "7th century" culture if you want, but acknowledge that the historical person of Muhammad comes before this culture in Islam. Keep your faith (which i dont recommend), but make that connection first, and admit it, and speak out against it. After all, we dont live in teh 7th century anymore, right? Maybe Muhammad really didint want anyone to follow his words and examples for all time? I should also add that these women, who would call themselves champions of women's rights, apparently cast a blind eye to the suffering of Muslim women in Islamic republics across the seas. I know it is a bit off topic, but their hyper-self-focus and childish actions are demonstrative of their hearts. They don't really seem to care about the actual people involved with the issue (actual Muslims) or they would genuinely attempt to understand and address the real issues and concerns relating to Muslims; including the issue of women's rights, as well as jihad, according to Islam. It makes me wonder if it was just a publicity stunt; a stunt undertaken at the expense of greater understanding and at the expense of real people. That's socially irresponsible. If you think your beliefs are the best for society, then stand up and defend your position for the sake of your fellow man...especially if you have a national platform like "The View." Are you people SERIOUS? no terrorists in Christianity? What about the Atlantic City bombing- committed by a Christian. What about the NUMEROUS suicide bombings as well as missile strikes in northern Ireland between Catholics and Protestants? What about CHRISTIAN bombings of abortion clinics, or the numerous shootings and murders of both patients and doctors? regardless of if you think these things are warranted, they are acts of Terrorism and to say otherwise is the REAL show of ignorance. Now, I do believe that Joy and Whoopi acted immaturely in exiting the stage rather than calming down and having a legitimate discussion. If you listen, Whoopi almost made a valid point before storming off the stage: there are still HUNDREDS of churches around where the Atlantic City bombing (done by a Christian-Baptist) took place and nobody complains one bit. There's also the fact as Barbara pointed out, that over 70 families victimized by 9/11 were MUSLIM families. it was not just Christians! The act was by Extremists- a tiny, minuscule portion of one of the largest religions in the world. and for Bill O'Reilly to make the statement that MUSLIMS killed us was inflammatory and uncalled for. Or hey, let's talk about the fact that O'Reilly's network-Fox News, is primarily funded by a Muslim who, guess what?- is also one of the main funders for this 'ground-zero mosque' which, by the way, isn't a mosque. It's a community center. The fact is, the Muslims building a mosque on Ground Zero has NOTHING to do with 9/11. It has EVERYTHING to do with the increasing spread of ignorance, fear and hate towards Muslims across the country. There are cases in Tennessee, Kansas, Arkansas, even California of people trying to ban the building of Mosques, but hey, maybe those areas are too close to ground zero too. People, accept the fact that you life in a SECULAR state, that the whole reason for its founding was so that ALL people could practice their religion without fear of persecution for the majority, that Christianity is NOT all rainbows and peace, that it has even more cases throughout history of mass murder and persecution of other religions than ANY OTHER monotheistic religion in the world, and that continued isolation and mistreatment of the Muslim population will only serve to greater isolate this country from the rest of the world. Confident Christianity wrote: "I should also add that these women, who would call themselves champions of women's rights, apparently cast a blind eye to the suffering of Muslim women in Islamic republics across the seas. I know it is a bit off topic, but their hyper-self-focus and childish actions are demonstrative of their hearts. They don't really seem to care about the actual people involved with the issue (actual Muslims) or they would genuinely attempt to understand and address the real issues and concerns relating to Muslims; including the issue of women's rights, as well as jihad, according to Islam. " I'm confused. Any reasonable observer could see that O'Reilly's comment ("Muslims attacked us on 9/11), made in the context of defending his stance on the Mosque controversy, insinuated a lack of distinction between the 9/11 attackers and all other Muslims. Whether appropriately or not, Joy and Whoopi simply reacted in protest to O'Reilly's vicious attack, and thus acted *in defense of* Muslims. How, then, can you possibly view their reaction as indicative of a lack of concern for the oppressed women in Islam? Can you please explain your logic here? Suppose O'Reilly had made his insinuation clear and explicit: "Muslims attacked us on 9/11, and all other Muslims -- including those in support of the Mosque -- are really no different from them." Joy and Whoopi walk off in protest. Would their reaction be "demonstrative of their hearts," according to you? If not, how was the actual situation any different? When seeing whether or not a religion is violent or not we need to look at the founder of the religion and it's holy book, NOT THE PEOPLE. And when we see Christianity, we learn that we are to love everyone and harm no one(Matthew 22:36-39); that we are to live in peace with everyone(Hebrews 12:14); that we fight a spiritual war, not a physical war(Ephesians 6:12;2 Corinthians 10:3-5); that Our Savior's Kingdom isn't of this world(John 18:36). So when a so-called Christian blows up an abortion clinic, he's contradicting the teachings of Our Lord and Savior Jesus Christ. Now when a muslim flies planes into a building, or kills alot of jews he or she is doing what his holy book is telling him to do(Sura 8:60; Sura 9:29; Sura 9:5, etc.). So when you hear about a christian blowing an abortion clinic or anything else, don't say that Christianity is a religion of violence. Egos - when have Joy or Whoopi ever expressed a concern for Muslims until the existence of a political controversy? That's what I'm seeing. Same would go for O'Reilly, only his concern seems about the families of 9-11. If you are going to make inferences on what O'Reilly did not say, then I can also extend inferences on Joy and Whoopi's sins of omission, as well. Let's be clear: I was not merely drawing inferences from what O'Reilly did not say -- I was drawing inferences from what he said in a certain context. Again, his remark ("Muslims killed us on 9/11"), made in the context of defending his stance on the Mosque controversy, appeared to insinuate a lack of distinction between the 9/11 attackers and all other Muslims. Whether O'Reilly actually intended to imply this is another matter: his statement *came across* in a way that was deeply hurtful to many Muslims. Consider this from the pov of Whoopi and Joy. From their perspective, O'Reilly's insinuation was outrageous, and so they chose to protest (rightly or wrongly). Now, it's one thing to object to their reaction, but it's quite another thing to claim that their reaction is actually indicative of their lack of concern for the oppressed women in Islam. Perhaps an argument could be made that because they never discussed the oppression of women in Islam (and I don’t know this to be true), they probably don't care about those women. While still dubious, it's a whole lot better than yours: that because they reacted in protest to what they perceived to be a vicious attack against all Muslims, they probably don't care about oppressed Muslim women. Perhaps you should focus your energies on criticizing the one who actually made the incendiary remarks, and those -- like the people on this blog -- who appear to see nothing wrong with them. "But the Internet just picked it up and ran, wow. But it ignited in the country this backlash against political correctness and people are just that's why I was getting high fived and that's why I was, you know, all my sandwiches and sodas were bought for me because they just said enough. We have had enough with these people like Behar and Goldberg who just seize upon anything to call you a bigot, to, you know, brand you. And it is un American, it is unfair, it is not charitable. Whatever, people have had I. They have had it. And I will gladly lead this anti PC movement. I'm anointing myself as the leader." That is not Christianity, Atlantic City bombing and all the others crazy things. These people are not serving the same Jesus I am. I do not find Behar and Goldberg to really care about all Muslims. Do you? So why should they be offended by O'Reilly's comment? If they had been champions for a cause specific to all Muslims, then maybe I could see some merit in their reaction to O'Reilly. The situation would come across as O'Reilly purposefully taking a jab at them due to their involvement with the particular cause (for example, their work with the Muslim community). However, they are not champions of anything related to all Muslims; including the obvious and immediate problem of how Muslim women are treated in various parts of this world. Here's why I bring this up: If they are so concerned about all Muslims and the denigration of Muslims, in general, I would expect to see evidence of this concern. But I do not even see their concern for Muslims in area for which they are known activists: women's rights. That's how I can make the connection from their reaction to O'Reilly to their lack of true concern for all Muslims, including women. They have had years and years of a national media platform to promote awareness for things that do occur and affect Muslims worldwide, but have never spoken up until the political controversy. Then, they make a spectacle of it, attracting more attention to themselves than to the people affected by the issue. I can see I didn't relay that connection well in my first post. But, that's my point. Is that an unreasonable concern? Plus, I have a huge problem with Behar, in particular, because of her denigration of Christianity. She's fast and loose with harsh, derogatory words about Christians, but quickly offended by a comment made about Muslims. Are not both groups made up of people, who are worthy of her respect as human beings? However, even though I disagree with Behar and Goldberg, I think O'Reilly should have qualified his statement in order to demonstrate responsibility with his position of influence. What term did he use in his apology? Egos, what is a practical definition for 'radical extremist'? You cant say that "radical extremists" killed us on 911 because you are offending radical extremists. Not all radical extremists kill people, many just hold radically extreme views about life, politics, etc, from the norm. HOW CAN YOU OFFEND RADICAL EXTREMISTS LIKE THAT? Fair-minded, reasonable people who watched the video found repugnant the central aspect of it that made it newsworthy: O’Reilly’s insinuation about all or most Muslims. Not so with most of the commenters on this blog. It appears that what you find most objectionable was the allegedly insincerity with which Whoopi and Joy reacted – their protest, you seem to think, was all a “publicist stunt,” their emotional outrage simply faked. In other words, according to you, Whoopi and Joy were being downright deceitful and dishonest when they forcefully objected. I won’t engage in this kind of wild speculation and ad hominen attack. Whether Whoopi and Joy are “champions of women’s right” is just a non-issue here, but one which you appear to be entirely focused. Even if they are not, that wouldn’t make O’Reilly’s remark any less offensive, which is what the focus here should be about. It’s simply an irrelevant concern, as far as what the focus is here. If you want to criticize Whoopi and Joy for not discussing certain topics that should be discussed, fine. But that’s simply irrelevant to the actual controversy at hand: O’Reilly’s thoughtless, highly offensive remark. You wrote:"Egos, what is a practical definition for 'radical extremist'?" The term seems pretty clear to me. What need is there for a practical definition? Context matters - which shouldn't come as a big surprise to you. The logic here is very clear. I don't think Behar or Goldberg or even O'Reilly for that matter have studied, in any depth, the differences Islam has with Western Culture and Civilization. I have encountered little that can be called profound understanding of this issue from most Americans and Westerners. The ignorance of so many is going to sink us into poverty of both spirit and worldly things if it is not addressed. Regardless of the poor choice of words Mr. O'Reilly used, the silly, "7-year-old snotty brat," stomp-off, by Ms Goldberg, and Ms Behar, and the subsequent firing of Mr. Williams has sparked a powder keg reaction in this country to the problem of "politcal correctness" which has been growning since the 90s. I've always welcomed challenges to my faith, as a chance to engage in dialogue, and never felt that I had a right to be treated with kid-gloves in regards to my faith. Then in the 90s, this new idealogy came along that words were a bad thing. In the 70s you started hearing that "you should never talk about politics or religion." A theory I never bought into, and certainly not taught by Christ. By the turn of this century, it became the law of the land! A comment about faith in the work place, can land you an appointment with HR in like, half of a NY minute. It was more than Roman lions who killed Christians. Rome controlled Christians through the market-place.